And here is how you can avoid these orthopaedic injuries. As we speed towards winter, you might already be planning that long-awaited mountain holiday and gearing up to take your skis and snowboard for a spin on the slopes. Skiing and snowboarding are always a great time (and good exercise! ), but it pays to remember that they can also be dangerous, with orthopaedic surgeons seeing plenty of devastating injuries every snow season. Here are some of the most common orthopaedic injuries we see as a result of your favourite winter sports, as well as some advice on how to avoid them so you can rest (or ski!) easy knowing you’ll be back on the mountain for another adventure next year! 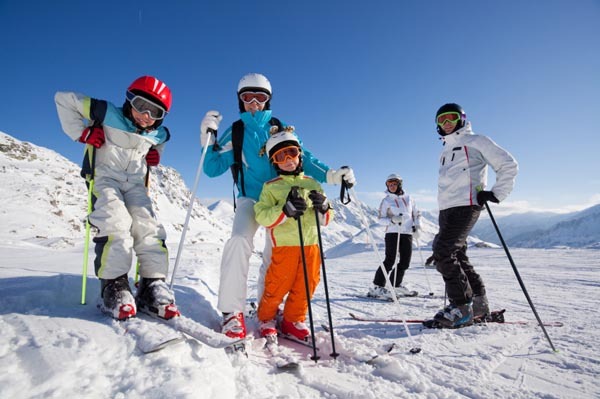 When you think of sports like skiing and snowboarding, you probably expect that most injuries would be leg and knee related. However, dislocated shoulders are one of the most common injuries, especially amongst skiers. Because the shoulder joint is so mobile, it’s less stable than the other joints, making it more likely to slip out of place on impact. It’s important to seek medical attention immediately, as any delay in getting the shoulder back in place can lead to poorer outcomes in regaining full movement. Even after getting the joint relocated, you may need to see a specialist as many dislocations come with a further injury to the surrounding ligaments and muscles, as well as an increased likeliness of future dislocations. Even in everyday activities such as walking, the knees act as the body’s main shock absorber. This is intensified in sports; especially extreme sports such as snowboarding where a bad landing or a fall can lead to painful knee injuries that might see you on the sidelines for the rest of the season. Torn ligaments: These can include the ligaments on the back (posterior cruciate ligament, or PCL) inside (medial collateral ligament, or MCL), outside (lateral collateral ligament, or LCL), or front (anterior cruciate ligament, or ACL) of the knee. These ligaments control the movement of the knee, and once damaged can lead to instability. A torn meniscus: The meniscus is the cartilage which cushions the bones of the knee joint. It can tear when the knee is twisted awkwardly; a common occurrence in snow sports. A torn meniscus can result in stiffness, swelling, loss of movement, instability, and tenderness in the affected joint. Fractured kneecap: This can happen on the lower end of the femur or the upper end of the tibia. Knee dislocation: When the bones of the knee joint separate. Other injuries that commonly occur on the slopes include, but are not limited to a concussion, serious spinal injuries, dislocated and broken elbows, hand and wrist sprains and fractures, and ankle sprains and fractures. You’re no doubt keen to get right into it as soon as you arrive, but like with most sports, prevention is the key to staying safe and avoiding serious injuries. It’s essential to warm up properly with appropriate stretches (don’t forget your shoulders and arms! ), and to use the correct protective gear (including a good helmet and padding for other body parts). It’s also important to ensure your technique is correct. A head or neck in the wrong position can result in serious spinal injuries if you fall or land badly. Get lessons if you need them, take it slowly, and remember to always have someone with you. Enjoy, and stay safe this ski season!